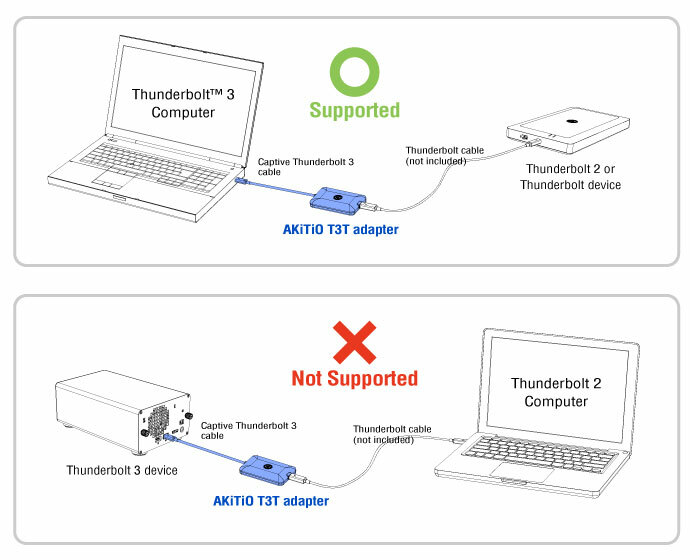 This adapter does not support monitors with a Mini DisplayPort, it only supports Thunderbolt monitors. [T3T] Why is my T3T adapter not recognized properly? 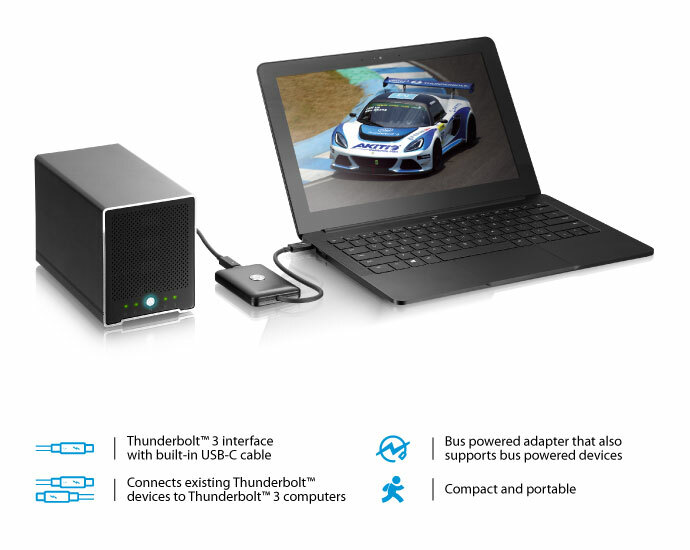 [T3T] Can I daisy chain multiple Thunderbolt devices? [T3T] Can I connect a monitor to the T3T adapter? 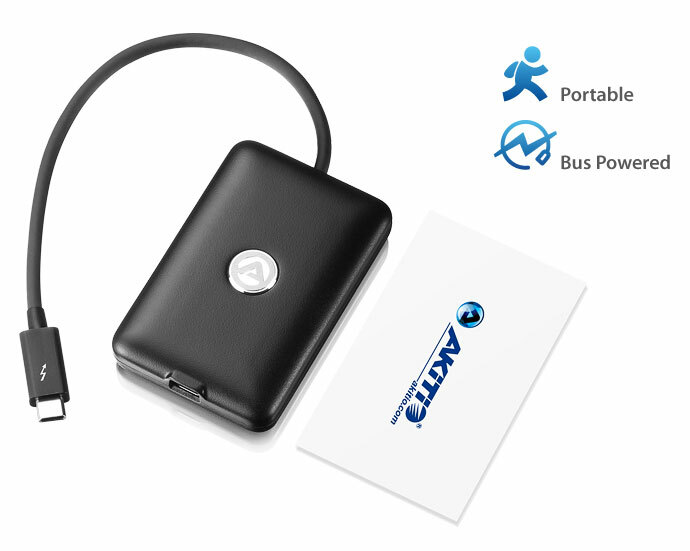 [T3T] Does it work with a bus powered Thunderbolt device?